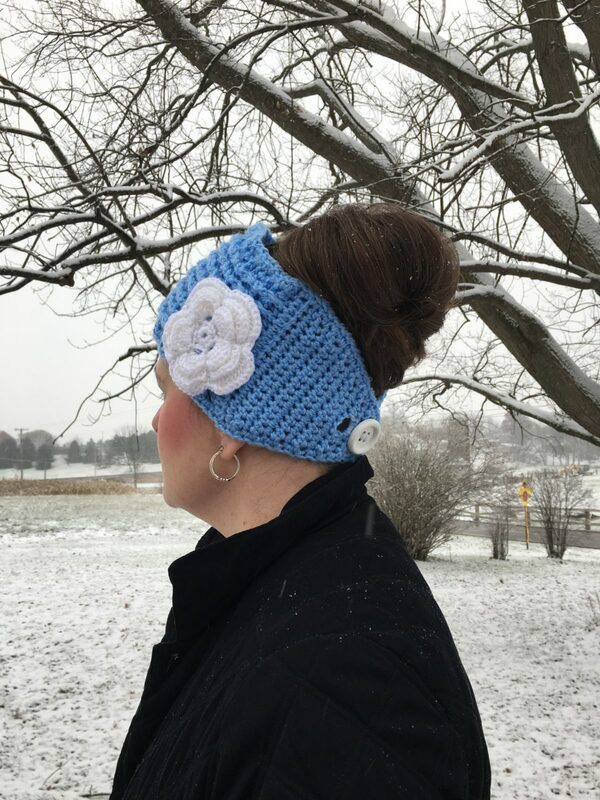 Well I kind of did things backwards last month with sharing my Twisted Cindy Messy Bun Hat crochet pattern with you. 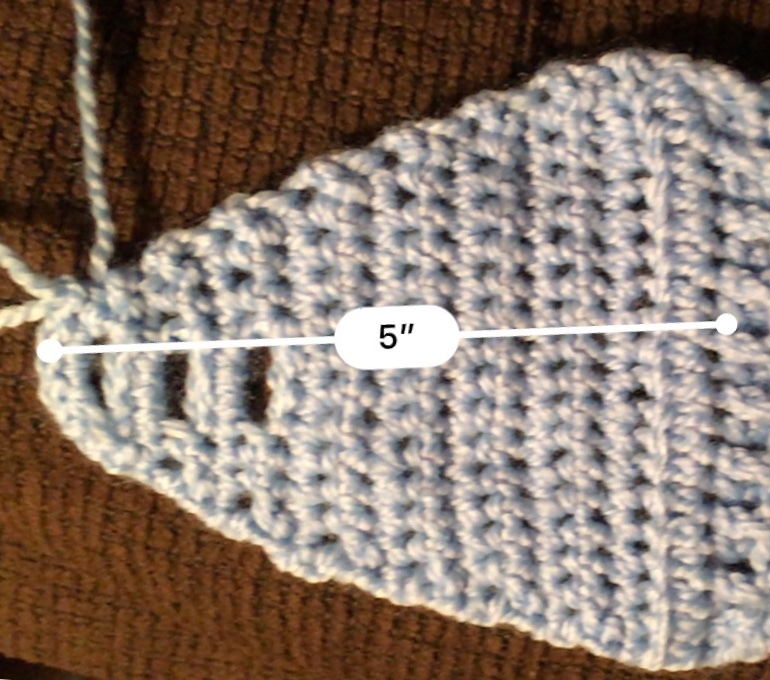 I should have introduced the first crochet pattern in the Twisted Line I designed. So without further ado the first crochet pattern in the Twisted Line, the Ribbon Ear Warmers Free Crochet Pattern. It is called Ribbon because the ear warmers design used a version of the Rib Stitch. 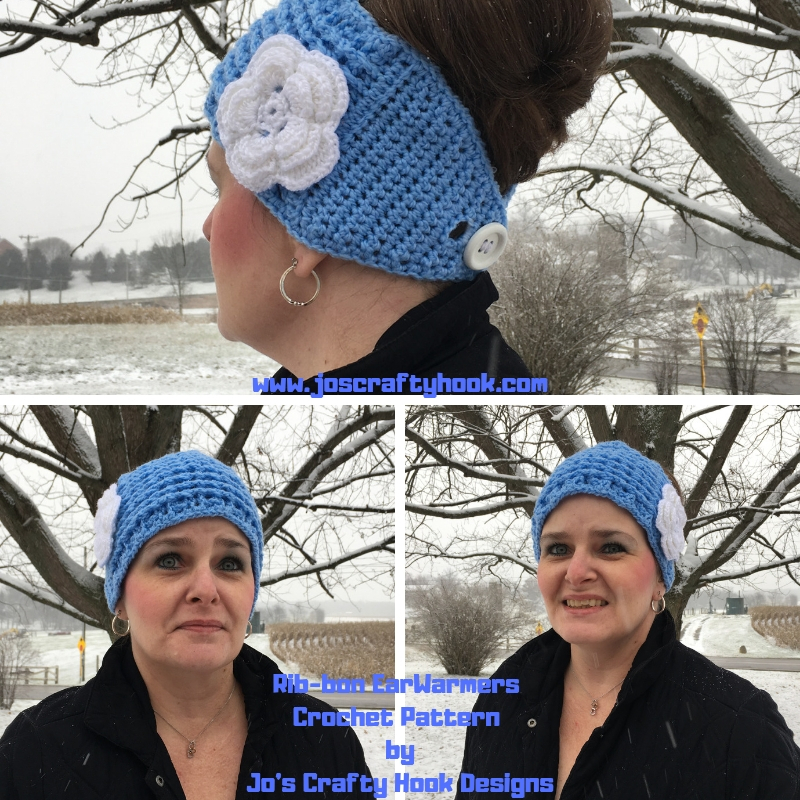 There, now that that is out of the way, in today’s post I will be sharing with you another Free Crochet Pattern that I have designed, the Rib-bon Ear Warmers. You will find picture tutorials to go along with this pattern. 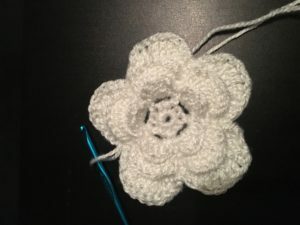 I even designed the flower that is attached to my version of my pattern. I hope you enjoy it! If you are looking for something to calm your Anxiety, lessen your Depression, or help you Cope with your chronic pain from Scoliosis or another disease, this pattern would be Perfect for you! The pattern is not very long and it uses some basic stitches that won’t cause more pain. But before we get started I wanted to remind you about our Facebook Group Crochet-A-Long with Us! We just finished up a CAL by Emily Lagler and her Alphabet Crochet Letters. 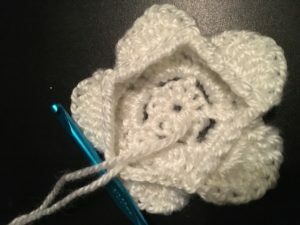 You can still find the CAL in the Units Section of our Facebook Group, just in case you wanted to join and take part in the past and future Crochet-A-Longs! You can find our FB Group here! The next CAL in our FB Group will be starting soon, March 9th to be exact! 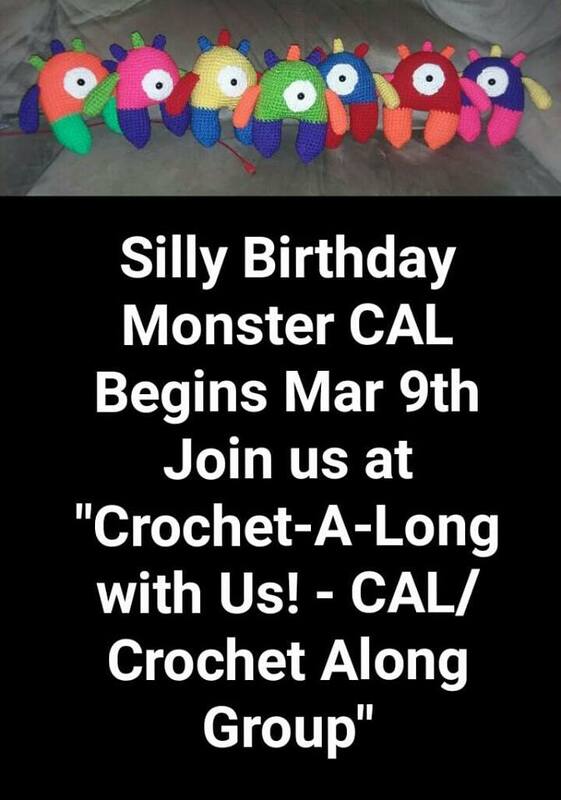 Kat Rombold of Kat’s Krafty Korner will be doing Silly Monster Birthday CAL. If you are interested in participating, she will be sharing this crochet pattern for FREE when you join our FB Group Crochet-A-Long with Us! 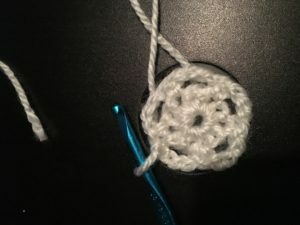 Please join us as we Crochet-A-Long with You! Be sure to scroll to the bottom of this post to see who our next crochet designer’s CAL will be! FPDC & BPDC instructions on YouTube here. 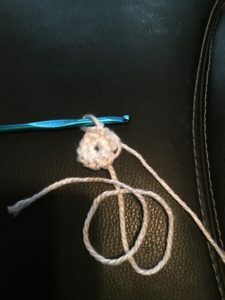 Front Post Double Crochet – Double Crochet going around the Front Post of the DC in the Previous Row. Back Post Double Crochet – Double Crochet going around the Back of the DC in the Previous Row. SC2TOG – Crochet 2 single crochets together. Should Measure 5 inches before R18. Repeat Waffle Stitch in R20-21 or until the Waffle Stitch measures 11.5 inches. End with R21. 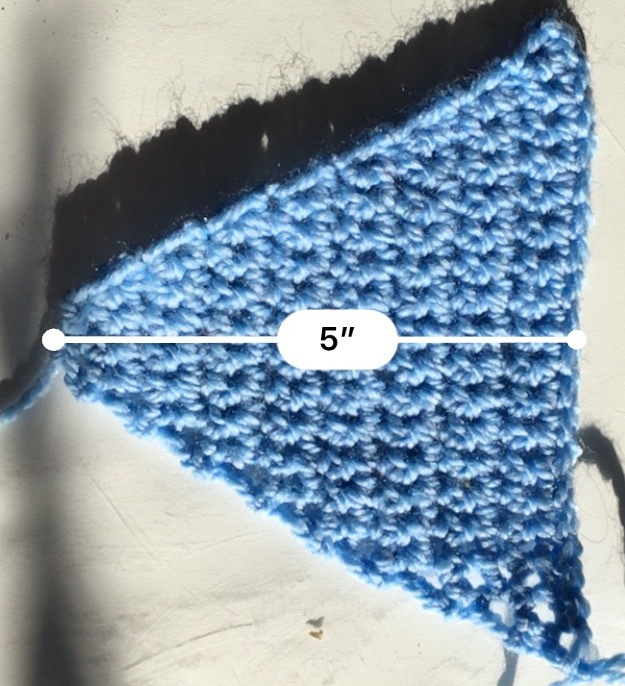 Ribbed Stitches should measure 11.5 inches from R18. Should measure 5 inches from R43-R50 when finished. Ch 1, sc in each end row and stitch evenly around the ear warmers. Ss in 1st sc made. 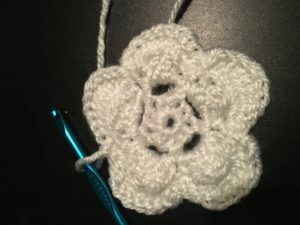 Below you will find a crochet pattern for a Flower. You can attach it to the Ear Warmers or leave it off, it is up to you. R2: ch1, sc in the same stitch, *ch 3, skip the next stitch, sc in the next st* Repeat from * to * until you have 5 Ch 3 spaces, ss into 1st sc. You will work in the ch 3 loops in R3. R3: *sc in ch 3, hdc, 2 dc, hdc, sc in the ch 3 space* Repeat from * to * until you have 5 petals. Ss in sc to join. R4: Ch 5, *sc in 1st sc on next petal, ch 5* Repeat from * to * until you have 5 chain 5 spaces. Ss in 1st ch 5 space. R5: *ch 1, *sc, 2 hdc, 5 dc, 2 hdc, sc in the chain 5. * Repeat from * to * until you have 5 petals. Ss in 1st sc. R6: ch 1 *ss in 1st sc of petal, ch 6* Repeat from * to * until you have 5 ch 6 spaces. Ss in 1st ch 6 to join. R7: ch 1 *sc, 1 hdc, 2 dc, 7 tc, 2 dc, 1 hdc, sc in the chain 6 space. 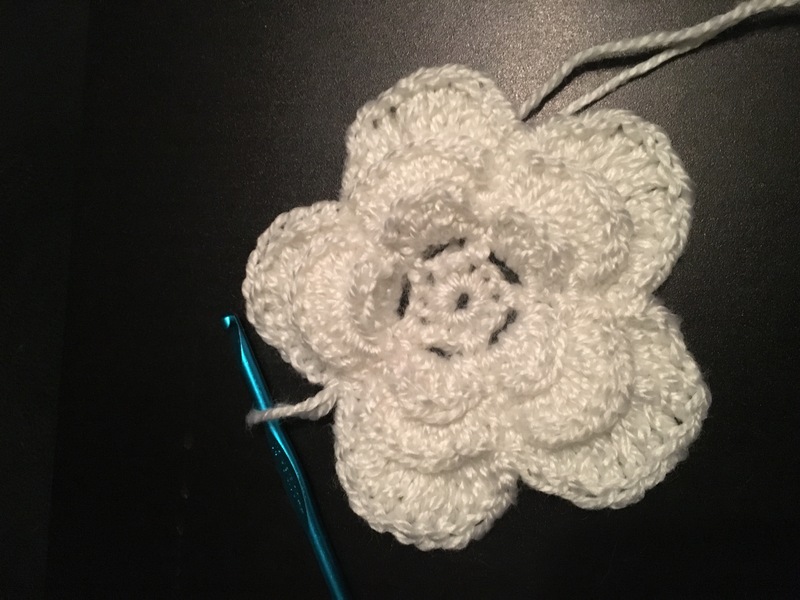 * (1st petal made) Repeat from * to * until you have 5 petals. Ss in 1st sc to join. Leave a long tail for attaching to Ear Warmers. Leave a long tail for attaching to Waffle Ear Warmers. Fasten Off. 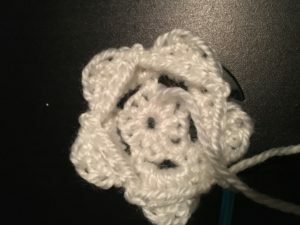 Thank you for scrolling down here to see who our Facebook Group Crochet-A-Long with Us’s next CAL will be and who will be doing it! 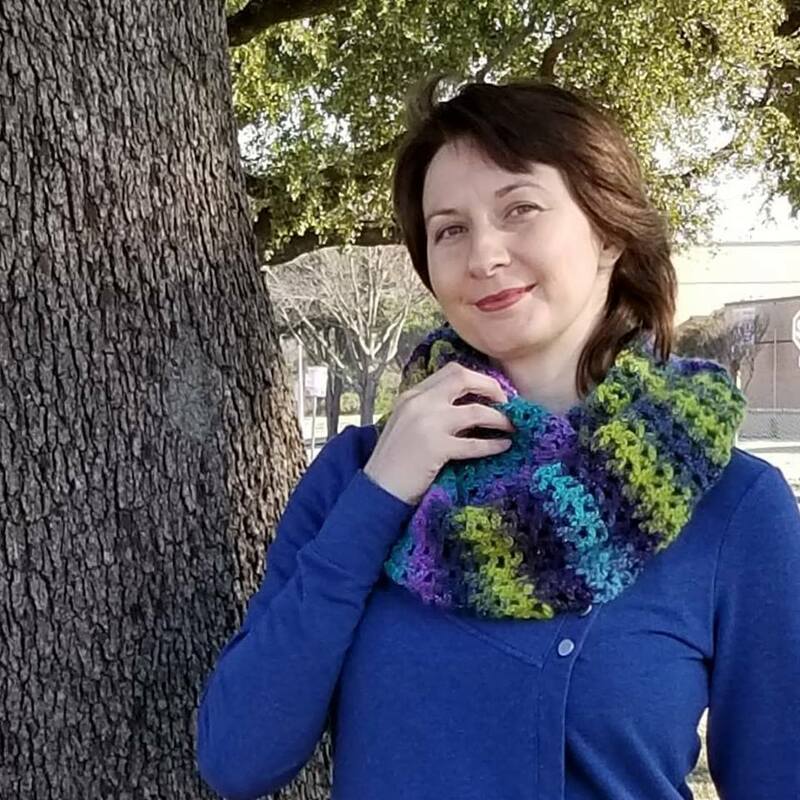 Natalia Johnson of nataliscrochet will be hosting her CAL 4/4 -4/6/2019. You can check her out ahead of time by finding her here on Facebook and her crochet patterns here at the Ravelry Store. Find me, Jo of Jo’s Crafty Hook Designs at any one of these places listed below! Be sure to leave a Comment or ask a question or just visit my Social Media sites listed above! 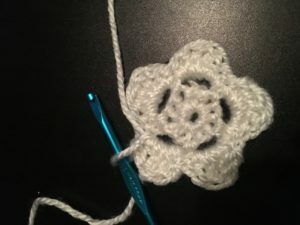 Be sure to stop back by to see what Handmade Crocheted Creations my Crafty Hook has created next!